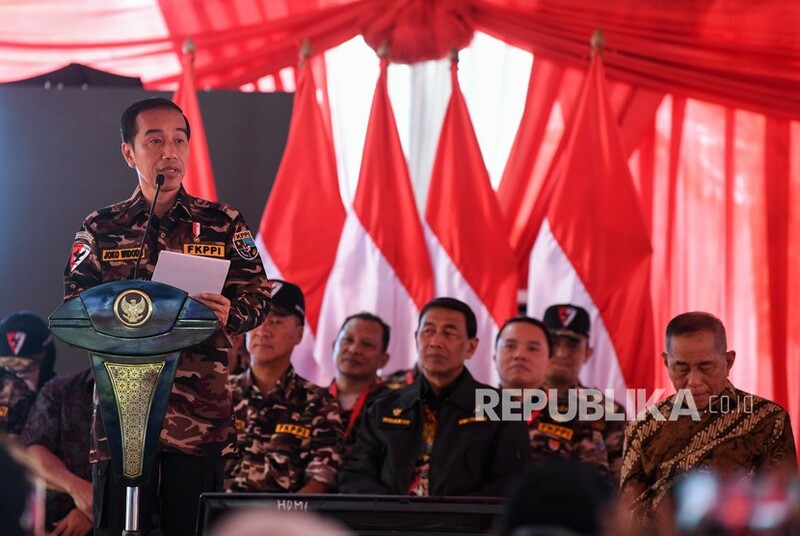 President Joko Widodo delivers a speech when during the opening of the National Jamboree of the Indonesian National Police's Son Daughter Communication Forum (FKPPI) at Ragunan Campground, Jakarta, Friday. Provocative banners bearing 'Jokowi is PKI minion' found in Tanah Abang on early Dec.
REPUBLIKA.CO.ID, JAKARTA — President Joko Widodo (Jokowi) commented on the provocative banner that said he is ‘antek PKI’ or Indonesia Communist Party (PKI) minion. He streesed that he would not remain silent with the slander. 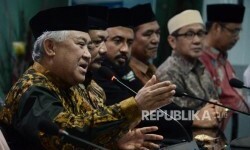 “Many issues that say President Jokowi is PKI and even recently there are many similar banners. I’ve been patient during these four years. I didn’t respond to it, but now I have to answer,” Jokowi said during the opening of the National Jamboree of the Indonesian Military and National Police's Son Daughter Communication Forum (FKPPI) at Ragunan Campground, Jakarta, on Friday (Dec 7). 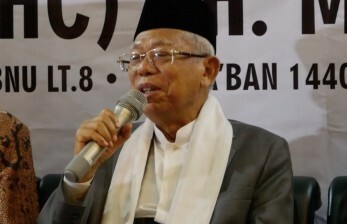 He has explained for many times that he is not a PKI member. Jokowi said PKI has been dissolved in 1965, while he was born in 1961, so he was 4 years old at that time. “I was 4 years old at that time, is there a toddler became a PKI member?” Jokowi added. Jokowi asked the method of politics through accusations and slanders, also hate speeches to be stopped. He said those ways actually damage the democracy. He also assessed the slander to him was unethical and uncivilized ways. “On social medias there are pictures of me and PKI chairman DN Aidit in 1955, it makes no sense and needs to be explained to people,” Jokowi said. He said he has to straighten out every issue and slander because around nine million people trust that information. 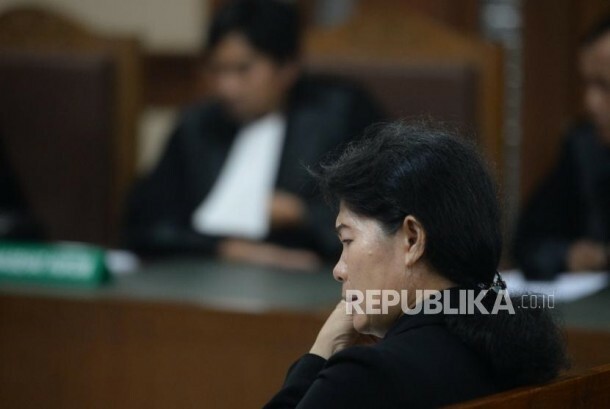 Jokowi said there was survey that showed at least nine million people believed in this slander. Earlier, there were banners found in Tanah Abang, Central Jakarta that included a picture of Prabowo Subianto - Sandiaga Uno pair and logos of their supporting political parties. On the right side of the banner some hashtags were seen, one of those is 'Jokowi with PKI'. 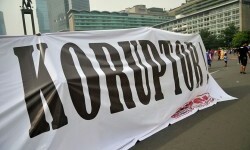 According to Election Supervisory Board (Bawaslu) DKI Jakarta, an investigation related to the banner will be conducted. The banners installed in Tanah Abang area, Central Jakarta have been removed on last Tuesday (Dec 4).